For the six-month period ended June 30, 2011 the net loss was $1,154,000, or $(0.31) per share. Sonesta International Hotels Corporation (Nasdaq:SNSTA) today reported net income of $800,000, or $0.22 per share, in the quarter ended June 30, 2011, compared to net income of $657,000, or $0.18 per share, in the quarter ended June 30, 2010. Revenues, excluding other revenues from managed and affiliated properties, were $22,505,000 in the 2011 quarter, compared to $19,139,000 in the 2010 quarter. The Company had operating income of $1,444,000 in the second quarter of 2011, compared to $1,585,000 during the same period in 2010. For the six-month period ended June 30, 2011 the net loss was $1,154,000, or $(0.31) per share, compared to a net loss of $535,000, or $(0.14) per share, for the six-month period ended June 30, 2010. Revenues, excluding other revenues from managed and affiliated properties, were $40,568,000 in the 2011 period, compared to $33,901,000 in the 2010 period. The operating loss was $407,000 in the six-month period ended June 30, 2011, compared to operating income of $434,000 in the same period in 2010. The 2011 second quarter revenues included $2,491,000 from Sonesta Bayfront Hotel Coconut Grove, a condominium hotel the Company acquired on July 1, 2010. Prior to that date the Company operated the Hotel under a management contract. Revenues during the first six months of 2011 totaled $6,050,000. Royal Sonesta New Orleans and Royal Sonesta Boston reported increases in revenues of 9% and 12%, respectively. Revenues from management activities decreased due to the political unrest in Egypt where the Company operates a collection of hotels and Nile cruise ships. 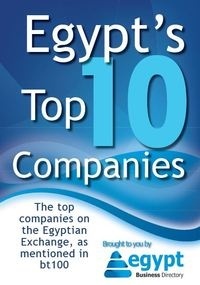 Despite the robust increase in domestic hotel revenues, the Company reported a modest increase in net income during the 2011 second quarter because of higher operating costs at the Company's hotels in Boston and New Orleans, and decreased management income from the Company's operations in Egypt. For full details on our results for the second quarter of 2011 please refer to our Report on Form 10-Q for the quarterly period ended June 30, 2011, which was filed on August 15, 2011. This report may be accessed through our website, Sonesta.com.